about us — Bar Mitzvah Invitations & Bat Mitzvah Invitations by Sarah Schwartz Co. 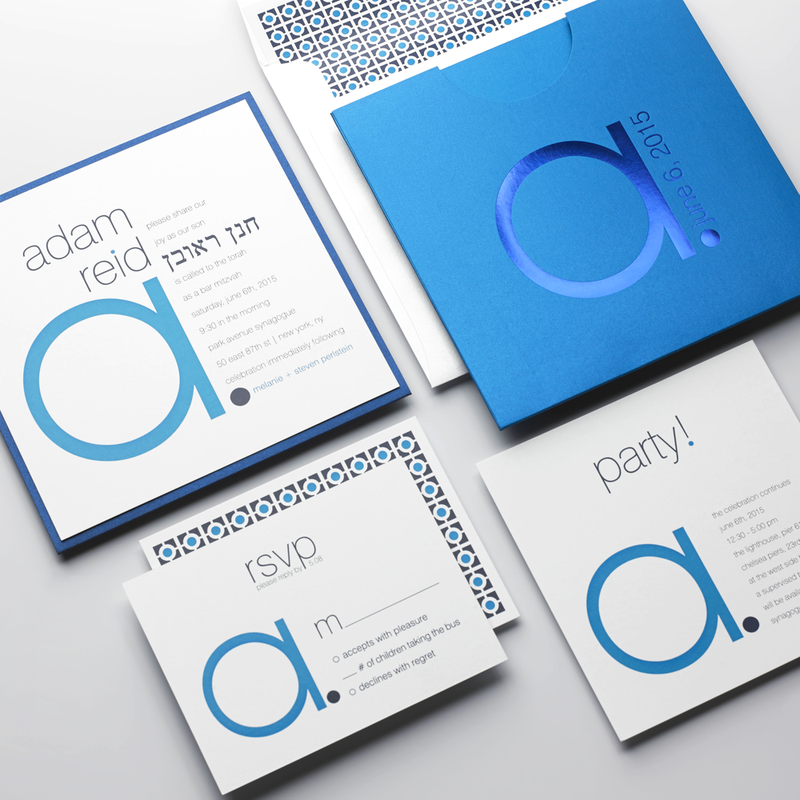 The Sarah Schwartz Mitzvah Paper Company began with the idea that Mitzvah Invitations didn’t have to cost a fortune to be gorgeous, and that the process of purchasing them didn’t have to require months of planning and consultation to achieve stunning results. We’ve made the process simple, easy and fun, by offering you all the options you need to create the perfect invitation suite without overwhelming you with extraneous options and complicated pricing and order forms. When it comes to something as important as your Mitzvah Invitations, quality is everything, and we know ordering online has its limitations. That’s why the first step you’ll take in our process is to Order Your Free Sample Kit, which will not only let you see and feel the superior quality of our materials and craftsmanship, but will also allow you to see the exact colors you’ll have to choose from. Our sample kits contain swatches of all our pocket and invitation papers and even a complete sample suite so you’ll be able to feel comfortable right from the start knowing you’re ordering only the best. For the design savvy, our ordering process gives you nearly unlimited creative freedom. 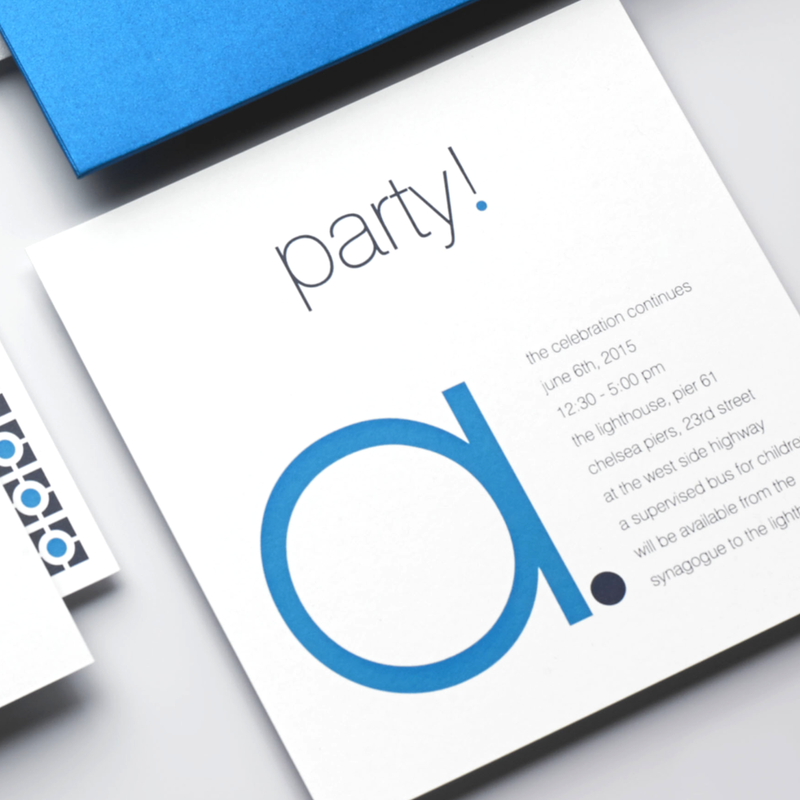 By selecting your suite, colors, papers and backer pockets, you can create an invitation suite that is 100% unique to your event. And because we understand that for some, making these selections can be a bit daunting, our Mitzvah Concierges are available to help you at every step of the way. From selecting the perfect suite to deciding on wording to finalizing every detail, just let us know how we can help. We've shopped for Mitzvah Invitations ourselves, and we know that one of the most difficult pieces of the puzzle is simply figuring out the answer to "what is this going to cost me???" Other companies make you wait for a quote or flip through complicated albums or wade through a 20-page online order form before you can even find the answer to that most basic question. It's maddening. We know. That's why we put our pricing right out front, so you never have to wonder. 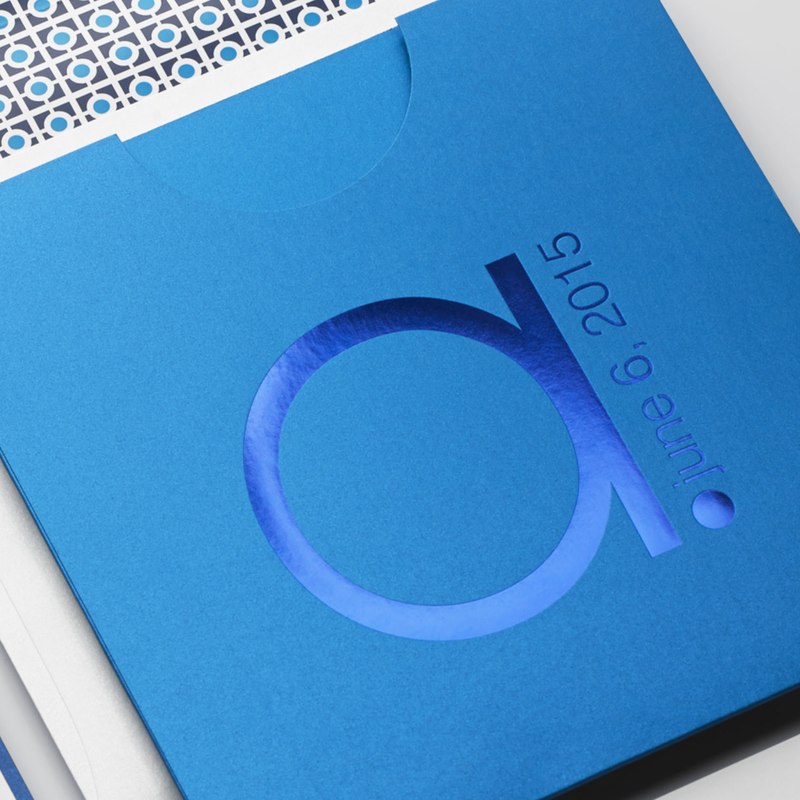 Best of all, after 15 years in the invitation design + printing business, we've learned a thing or two about efficiencies and we've developed unique production methods that allow us to offer complete suites that include lined envelopes, printed backs and nearly unlimited customization options all at the same price other companies charge for a single invitation + reply card without any of those critical features. Mitzvahs are our main focus, and we understand what you need to make yours a fabulous success. So whatever your particular event requires, you will get more style, more features and higher quality for your invitation budget from us than from anyone else, no matter your budget. So yes, it’s easy to order from us. And yes, our pricing is easy to love. But even those aren’t the best reasons to make us your Mitzvah Paper Partner. The fact is, we're obsessed with Mitzvahs, so we get it. We get how many little details go into making the ideal event. So for every one of our invitation suites we also offer all the tabletop pieces you need – placecards, table number signs, menu cards – as well as all the fabulous décor you could ever want for those great-looking lounges and dancefloors – oversized decals, throw pillows, coasters, photo backdrops, signage and more. Working with us, your graphic program will be utterly comprehensive, maintaining your signature style throughout all the details of your event. Best of all, you can cross about 100 things off your endless “mitzvah to do” list, because we’ve already done the planning for you. We make gorgeous papers. That’s true. But even those are just a means to an end. Our real goal is making gorgeous Mitzvahs that are destined to become even more beautiful memories. And we start that process from day one, by making sure even the planning of your event is a happy, fun-filled experience. So go ahead, start shopping our site now, and see where your imagination takes you. And remember: if you’d like help at any time, our team of Mitzvah Concierges is always here to help.